When Apple debuted its wireless Airpod headphones in September, the product was met with skepticism at best. People weren’t really jazzed on the iPhone 7’s most crucial piece of hardware, largely owing to the AirPod’s $160 price tag. And apparently iPhone 7 users won’t have the luxury of complaining about the AirPods IRL anytime soon, as Apple announced yesterday that it isn’t ready to debut the product. Speaking with Tech Crunch, an Apple spokesperson confirmed the news, saying that the company just needs “a little more time” before putting the AirPods up for sale. “The early response to AirPods has been incredible. 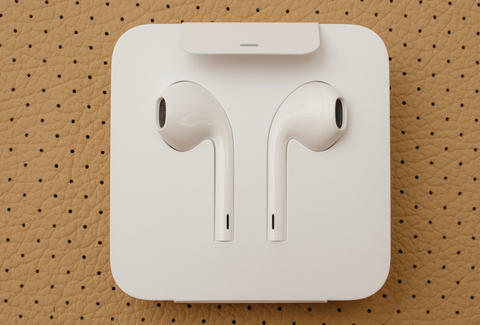 We don’t believe in shipping a product before it’s ready, and we need a little more time before AirPods are ready for our customers,” the spokesperson said. It’s probable that Apple is really hoping that the AirPods form a lasting and positive impression, given that the company just announced its worst financial quarter since 2001. In any case, there’s a glut of accessory products that’ll help you use the wireless iPhone 7 without the need of AirPods, like this nifty wire adaptor and a phone case that restores the headphone jack. In any case, early reviews of the AirPods were pretty positive, which is a good sign, considering that a wireless future is subsuming the company’s technology, according to Apple chief Tim Cook. There’s no word on when the headphones will actually debut, but no matter the popular consensus when they do, at least there’ll be these stylish earrings meant to catch them when they inevitably slip from your ears. Update 12/13/16: Apple Airpods are now on sale, starting at $159, but delivery for pre-orders may take awhile.